During my trip to Amsterdam I also picked up this very nice MOSC (mint-on-sealed-card) Ghostbusters action figure from the original 1984 motion picture. Gozer, a.k.a. 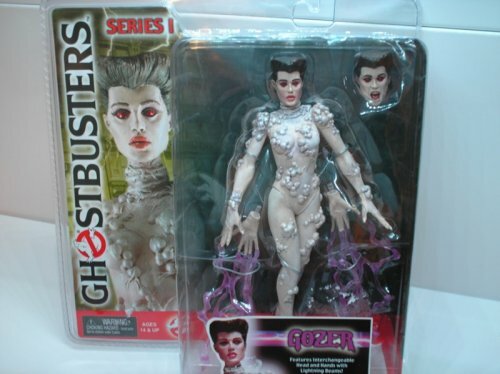 Gozer the Gozerian, Gozer the Destructor, Gozer the Traveler and many other names this genderless demon goes by is a great looking action figure released by toy maker Neca in 2004. Gozer was the main antagonist in the first Ghostbusters film, which to this day remains one of my all time favourite movies. Ghostbusters was the first movie I ever saw in a cinema in early 1985 and it just blew my 9-year-old mind away! Not only did the cinema experience impress my young self, I also could not have been treated to a better flick for my first movie going experience!! This movie had it all. Action, comedy, suspense, great special effects and some really scary moments! In the movie, Gozer the Gozarian (played by Yugoslav model Slavica Jovan) was the demon that our heroic Ghostbusters ended up fighting on top of an appartment building in down town New York. Gozer was part of a total of 5 action figures that Neca produced in 2004 as part of their Neca Reel Toys brand. The other released figures being Slimer, the Stay Puft Marshmallow Man and Terror Dogs Zuul and Vince Clortho (also known as the Gate Keeper and Keymaster respectively). 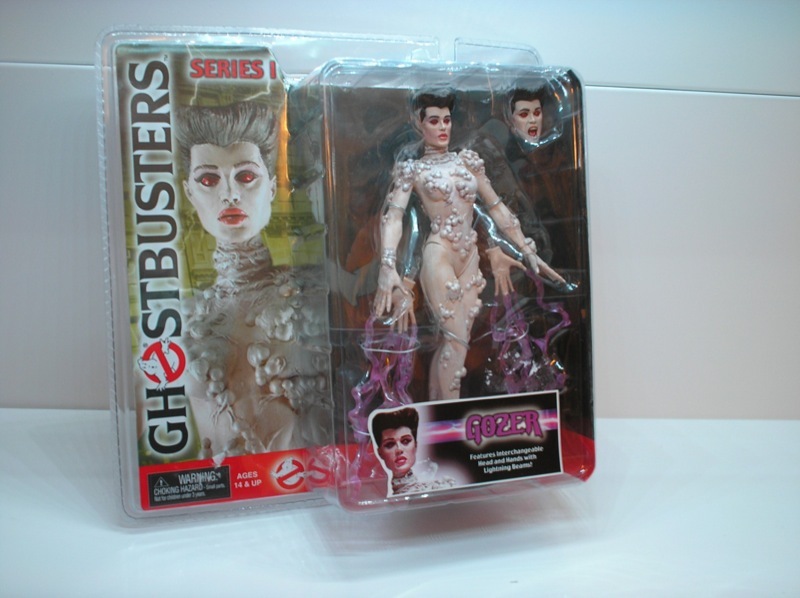 Neca did a great job and produced an action figure that very closely resembles Slavica’s portrayal of Gozer in the movie. 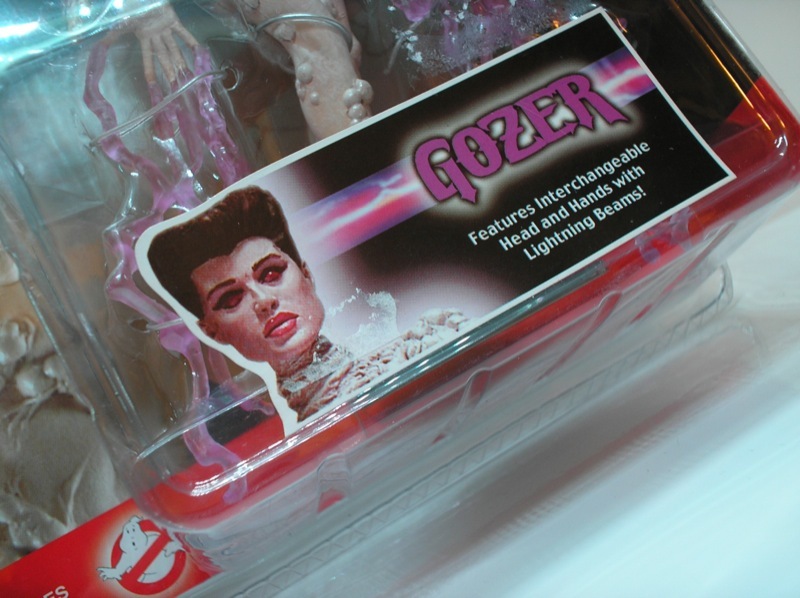 They even included an extra head and extra hands with lightning bolts to mimick the scene from the movie, where Gozer instructs the Ghostbusters to “DIEEEE”!!!!! I got Gozer for a modest amount of cash (17 euros) and I’d really like to complete my collection with the remaining 4 characters, although they’ll probably end up costing me a lot more money. The terror dogs Zuul and Vince Clortho especially, seem to go for very high prices, either loose or MOSC. Not in the least I suspect, because they look awesome and also have glowing eyes! It seems there was talk of additional Ghostbusters action figures of the protagonists themselves, but this effort seems to have stranded due to likeness rights issues, which is a real shame, because I can only imagine what a fantastic job Neca would’ve done with Peter Venkman, Ray Stantz, Egon Spengler and Winston Zeddmore!